NO CDD, BRAND NEW CARPET IN ALL BEDROOMS!! Welcome home to this serene waterfront home! You will fall in love with this precious home that has been well cared for by its original owners. 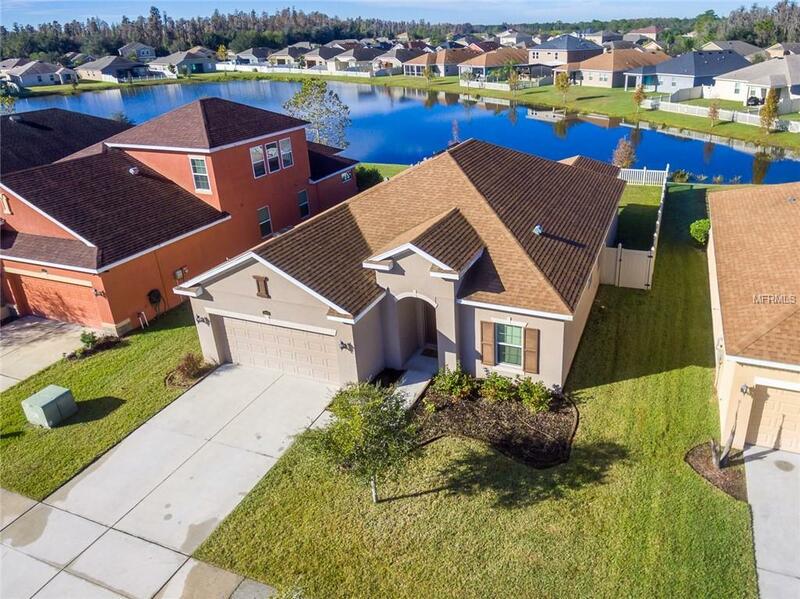 Upon entering, you will notice the stunning open concept and an immediate view through the sliding glass doors of the large, waterfront fenced in yard. The kitchen offers the highest quality upgrades available from the builder with solid wood off-white cabinetry, beautiful stone counters, a french door refrigerator, and a deep double sink. The master suite includes window views of the beautiful pond, double sinks in the master bath, as well as a large walk-in closet. The bonus room at the front of the home is currently used as an office space and has endless possibilities and uses. This home is priced to sell quickly and will not last long! Call today for a private viewing!